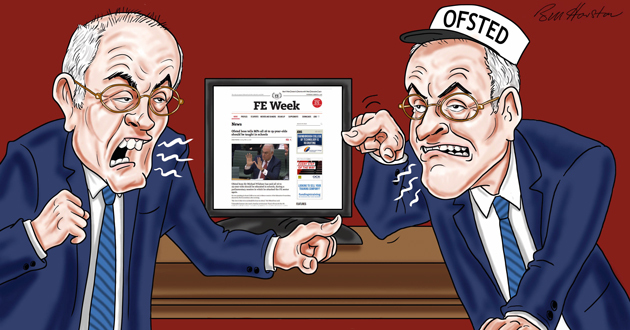 This year brought a wealth of interesting developments for FE Week to cover – from a new government to long-awaited details on apprenticeship reforms and the outcomes of a number of area reviews. 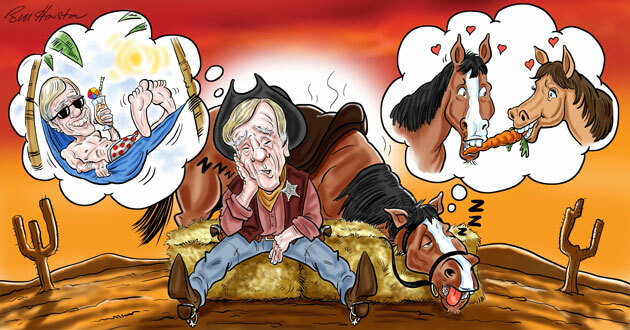 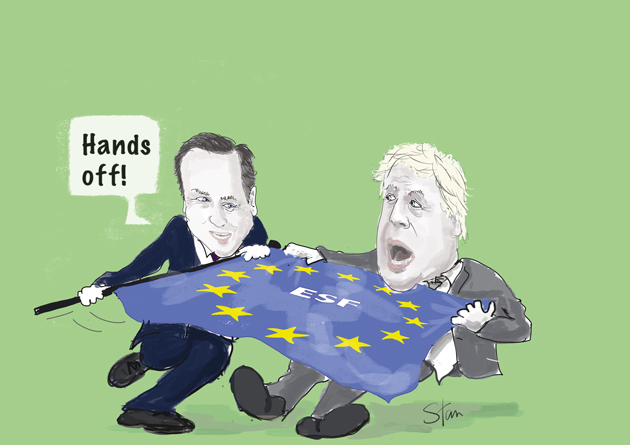 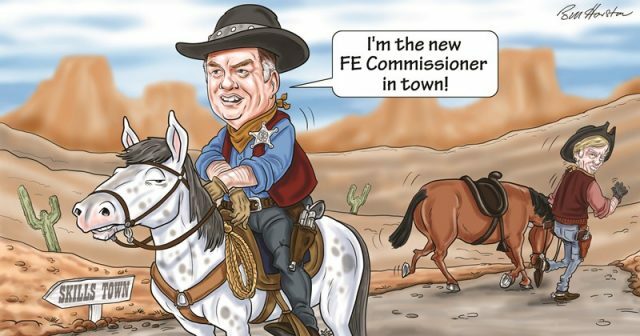 But none of this would have been the same without FE Week’s brilliant cartoonist Bill Houston to capture the key events, and we have gathered his work below for readers to review some of 2016’s top moments in FE. 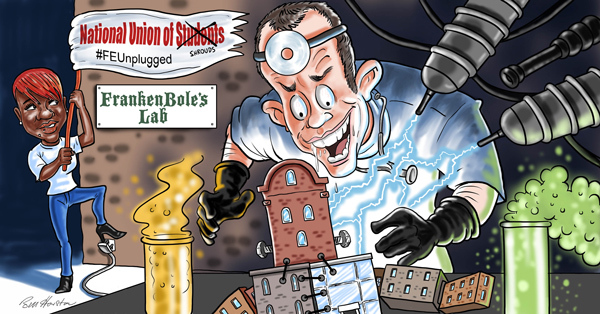 Nick Boles featured most often in what turned out to be his final year as skills minster, making seven animated appearances. 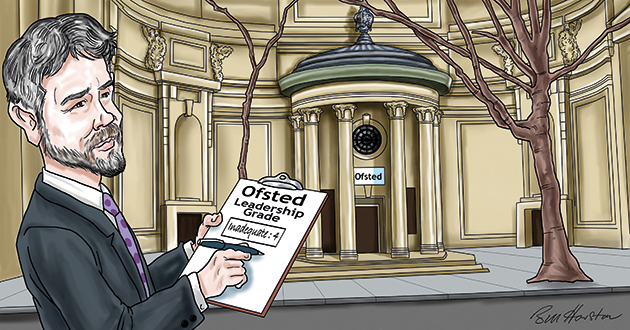 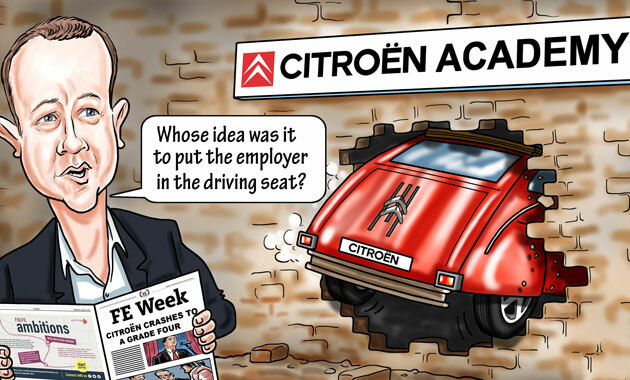 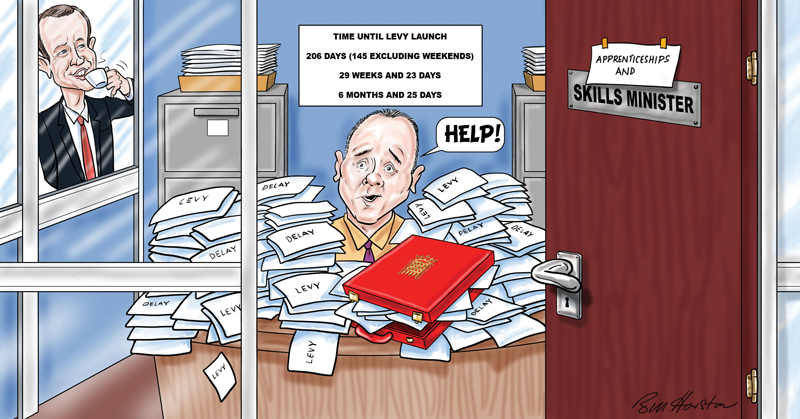 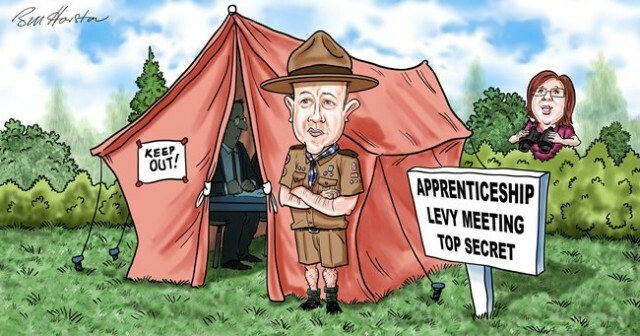 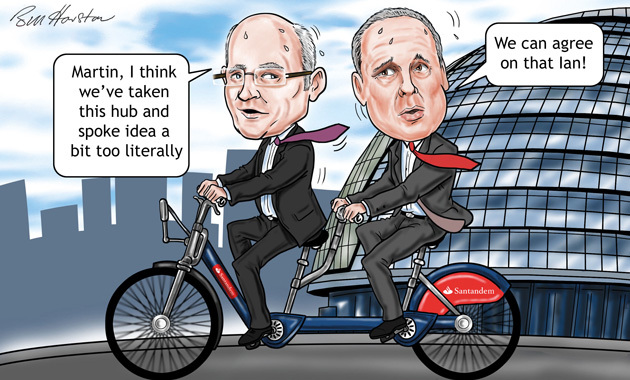 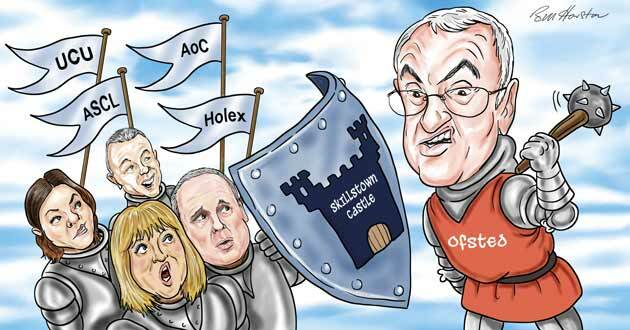 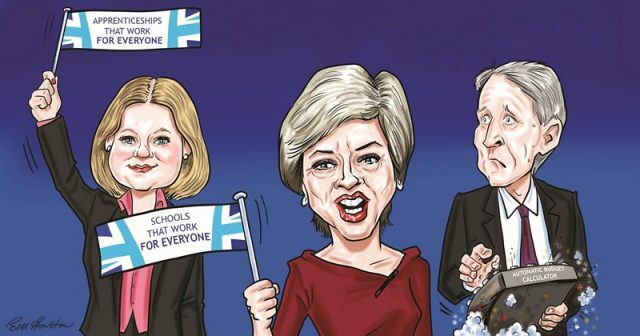 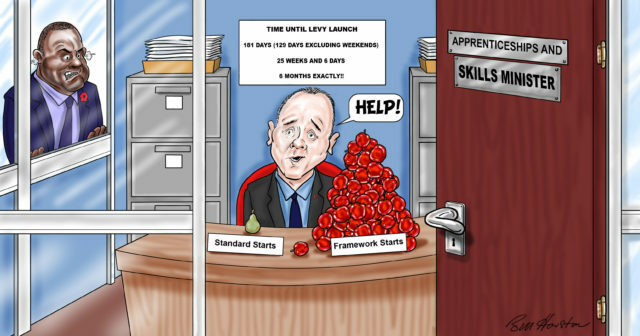 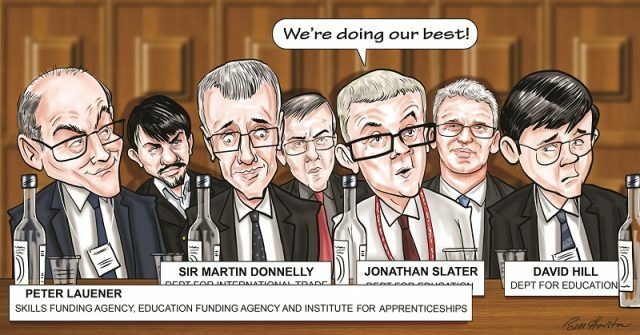 But he was soon succeeded by the new minister for apprenticeships and skills, Robert Halfon, who was so pleased with his first FE Week caricature that he requested a copy to hang in his office. 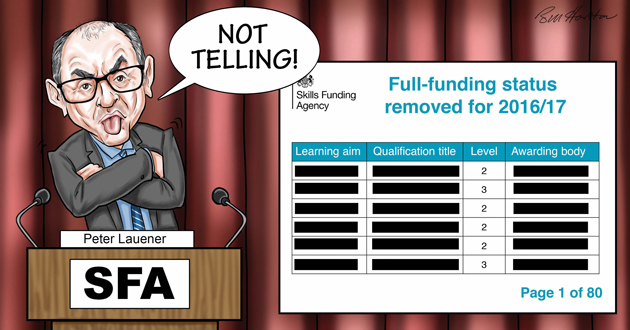 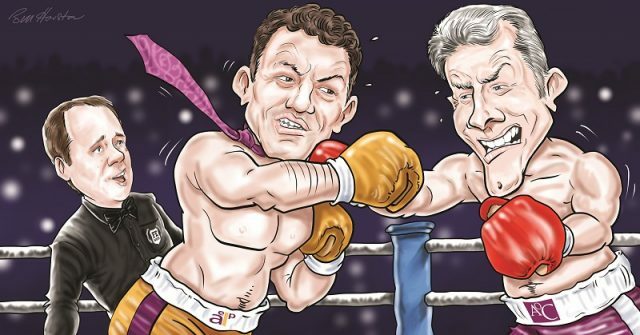 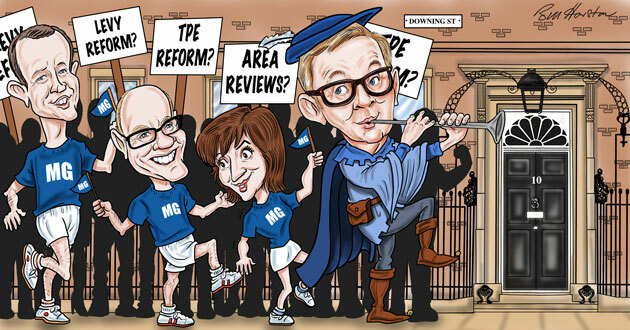 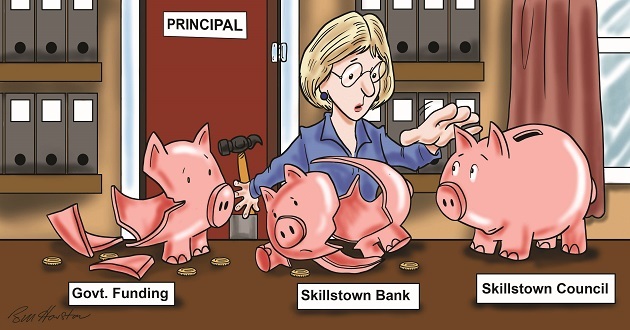 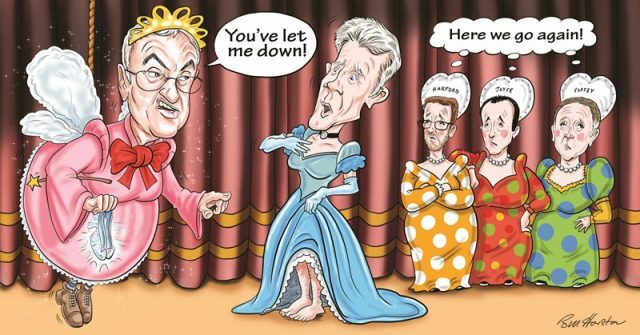 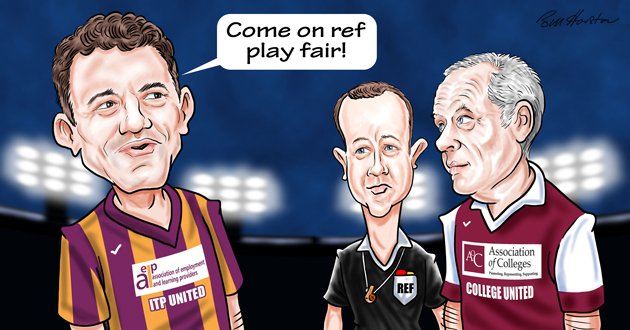 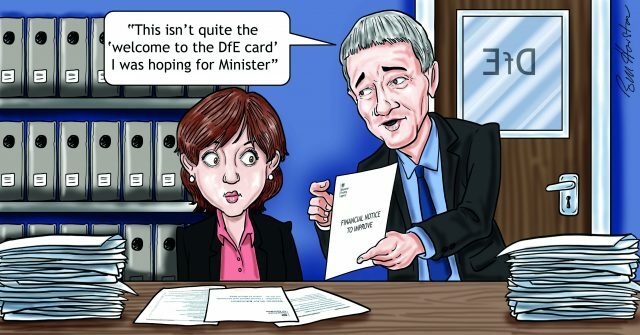 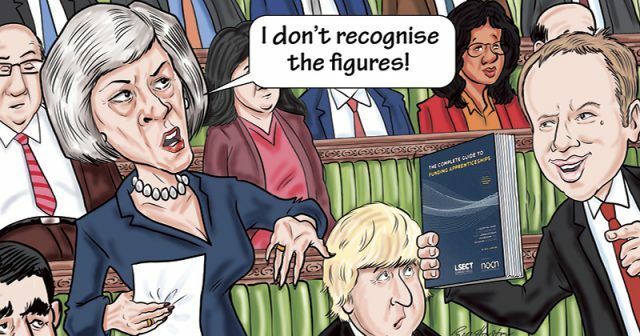 Other FE figures who featured three times or more in cartoons this year included David Hughes, chief executive of the Association of Colleges, and his predecessor Martin Doel; Mark Dawe, chief executive of the Association of Employment and Learning Providers; former FE commissioner Sir David Collins; Peter Lauener, chief executive of the Skills Funding Agency and Education Funding Agency, and shadow chief executive of the Institute for Apprenticeships; and the prime minister herself, Theresa May. 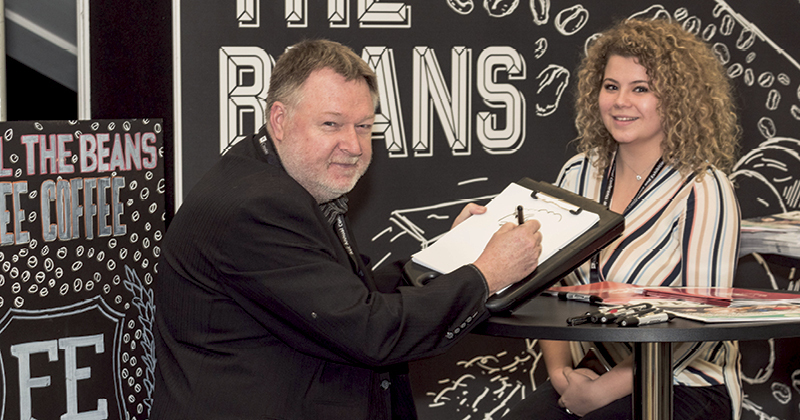 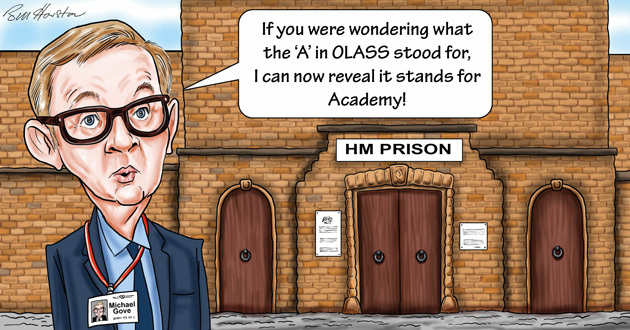 Bill was also quick on the draw at the Association of Colleges conference this November, where he could be found meeting delegates and sketching dozens of familiar sector faces (pictured above). 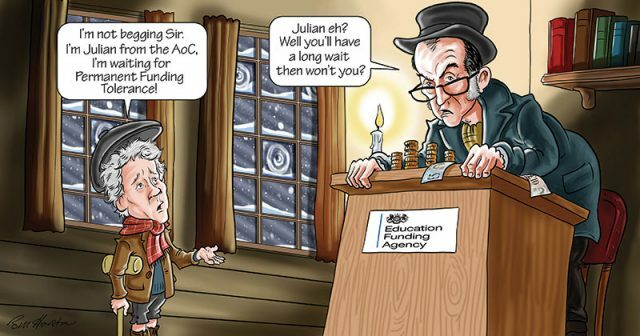 And FE Week’s December portrayal of a magical Sir Michael Wilshaw, his third and final appearance in the paper this year before retiring from his role as Ofsted’s chief inspector, even made it onto a delicious cake to celebrate his time in office. 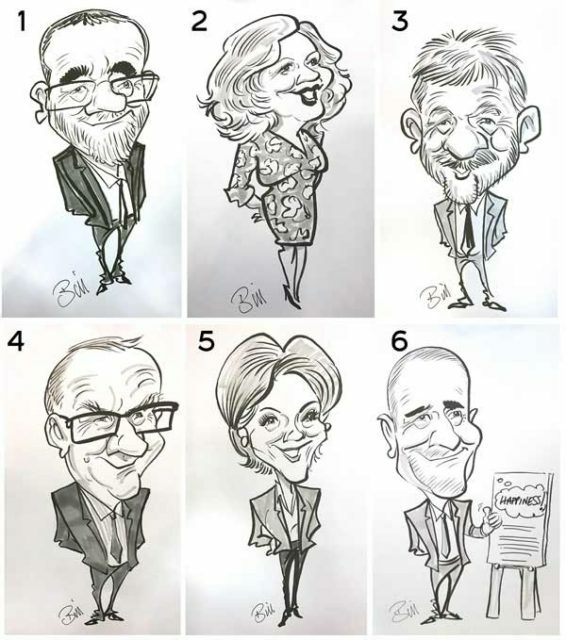 Scroll to the bottom of the article to cast your vote. 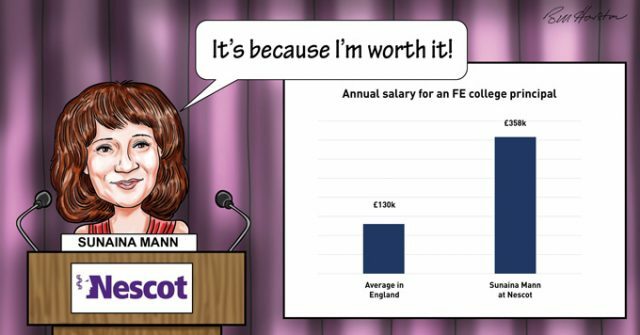 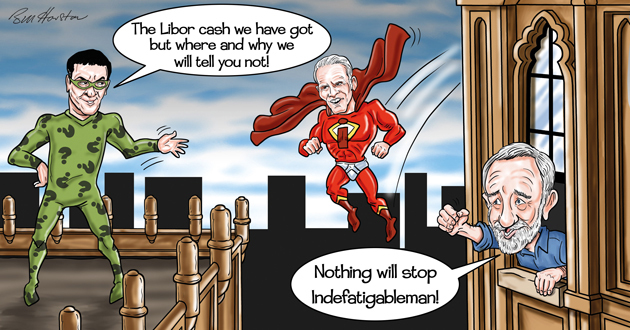 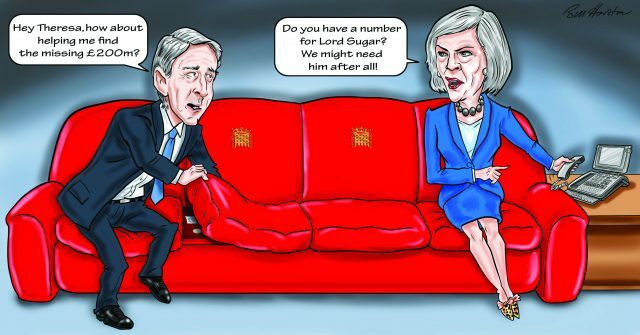 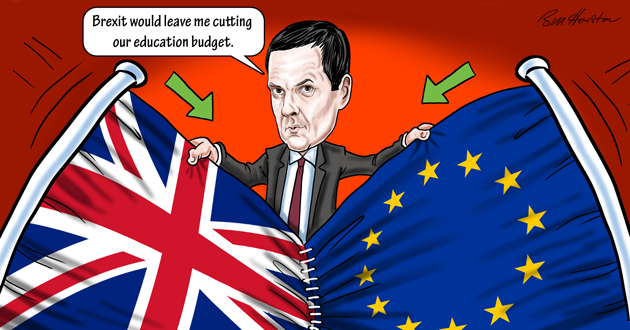 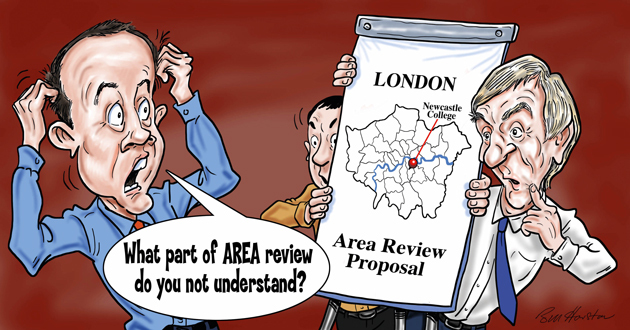 Edition 190, November 21 – Guess the FE cartoons!